Thumbelina is an extra low mixture and looks splendid in pots. 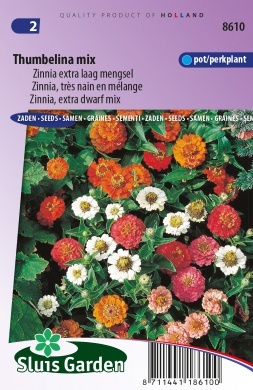 The small double and semi-double flowers form an attractive carpet in your garden. Sow in a heated greenhouse (22-25˚C). Prick out and later transplant or plant directly in a seedbed in the garden, allow to grow and then transplant to the final spot.